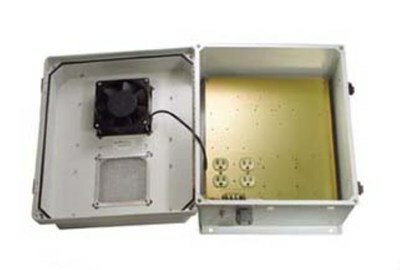 IRVINE, Calif., March 19, 2019 /PRNewswire/ -- Transtector Systems, an Infinite Electronics brand, today released a new, comprehensive line of NEMA-rated weatherproof equipment enclosures that are engineered to securely protect mission-critical electronics and are available with same day shipping to meet crucial deadlines. "The TEF14-series provides a solution for nearly any outdoor or indoor application," said Manuel Martinez, Product Manager. "With same day shipping available, we're working to meet the urgent requirements of installers, integrators, industrial OEMs, network engineers, or any customer who needs the right product quickly." For more information on these products, please visit the Transtector website. Transtector Systems leads the industry with a comprehensive product portfolio and specialized expertise in consulting, design and manufacturing of AC, DC, data and signal surge protection, communications power cabinets, EMP protection and power quality engineering services. Transtector provides valuable end-to-end power and signal integrity solutions for markets that include telecommunications, medical imaging, transportation, energy, security and the military.